People are getting ill – a lot of people! The statistics are shocking – one in two men will get cancer in their lifetime, and one in three women. So what is causing this to happen? Why are people getting cancer? Is there anything we can do to avoid getting the disease? 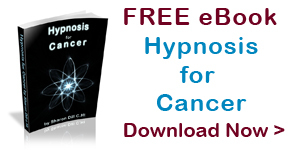 What is causing this to happen – why are people getting cancer? People don’t just get ill. The body is well equipped to handle illness – and to recover from that illness. That is the natural order of things. The trouble comes when a number of factors fall together to create and un-balanced state, or dis-ease. Life has become very fast. We jump out of bed, rush off to work, often with no breakfast, swallow a couple of cups of coffee to keep us going, rush through the morning & by lunch time are starving – just in time to grab an on-the-run hamburger or toasted sandwich. Super is not much better – there’s just too much to do, between work, our partners, children, social life, study etc etc … It’s no wonder we just don’t have time any more to look after ourselves. Who has the time to cook a healthy meal every night? If we look at the above example it is riddled with habits that are incredibly bad for our health. What happens here is that poor lifestyle choices causes stress in the body. Stress is a direct cause of acidity build-up. Acidity in the body causes the immune system to weaken. And when the immune system starts to slow down & is unable to handle it’s workload, we are in trouble. That’s when we get ill. There can be many psychological factors for becoming ill. Life can be hard, and for some, a difficult & tough road to travel. There could be genetic links to the disease – where there is cancer in the family. Is there anything we can do to avoid getting the disease? It is a sad but true fact that we live in a far from perfect world & there are many hazards to our health in our environment. Being aware and taking that little bit extra care to look after ourselves can go a long way towards eliminating circumstances & foods which cause problems for our bodies. Knowledge is power! Don’t use cling-wrap in the microwave – plastic from cling-wrap melts & drips into the cooking food! Aspartame – this is used extensively in diet drinks – avoid at all costs – cannot be digested by the body & accumulates & solidifies in our body. Note: Monosodium Glutamate has been widely publicized as being highly poisonous, and exceptionally bad for our health. However, manufacturers are not happy about taking this ingredient out of products, for various reasons, mostly to do with profit. So they have become quite sneaky at hiding this ingredient – by re-naming it. Knowledge is power – know what you are putting into your body and be healthy. Previous post: What is Genetically Modified Food & what does it do to our body?